I recently received an e-mail from Kisha of Serbia. 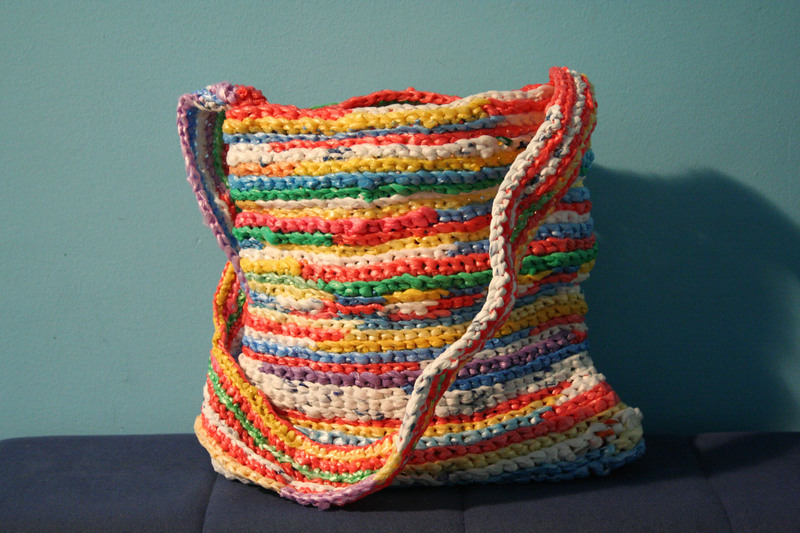 She used the crochet shoulder bag instructions I provided on my site to make her very own colorful plastic bag shoulder bag. The bag is actually the first thing she’s ever crocheted and she did a beautiful job! Kisha said she was able to create the bag with my help and that of the theknitwitch (http://www.youtube.com/watch?v=OqhaQQajt0U).